Our homes are our castles, and they are where we strive to feel safe and comfortable. Sadly, home break ins do happen, and when they happen they can seriously affect our ability to feel comfortable in our home. For many, the only alternative is to leave for a new home. However, many homeowners are stopping the home break-ins before they happen and also capturing criminals on video using a home video surveillance system. Gone are the days when this would mean bulky cameras and VCRs. Now, things are much more streamlined and faster, giving everyone the ability to keep their home safe, and give themselves the sense of safety when they are in their own home, protected by home video surveillance systems. Looking at crime statistics in the United States from 1960 to 2006, we can see that burglary has risen from 912,100 instances in 1960, to 2,183,746 in 2006. That is an increase of over 100 percent, and while the number of burglaries has dropped steadily since the 1980s, that does not mean everyone is safe. As a result, you need the best home video surveillance system to keep yourself, your property and your family safe. 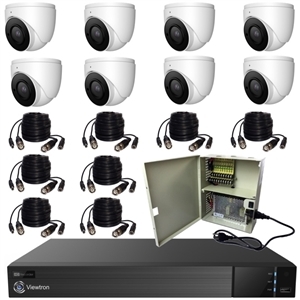 There are many ways you can do this, and the three best are through the use of a surveillance DVR, CCTV security cameras, and remote Internet access and monitoring. The digital video recorder (DVR) works just like the security tapes of decades past, but it allows you to record much, much more and with much better clarity, color and picture quality. That means that not only can you record days at a time, which is great when you are away, but if someone breaks in your DVR will catch their face with perfect clarity. That in itself is a huge step ahead for security systems. We all remember security systems from 10 or 20 years ago, which featured choppy video, poor picture and even worse sound. Back then, it was impossible to get a face off of the tape, but that is not the case with DVRs. Security camera systems have also come a long way, thanks to the use of DVRs, which allow for better quality in even smaller camaras. 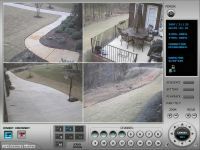 The cameras you set up can help you keep an eye on your house while on vacation, or while your children are home alone. You will have the ability to view them remotely from any computer with an internet connection, no matter where you are in the world. You could be sitting at dinner with your iPhone, watching your children to make sure they are okay. No more calling to see if everything is okay, now you can see for yourself. The outdoors is also covered from individuals from lurking in your yard waiting for the right time to break into the house. Security cameras are now available for both indoor and outdoor use, with many coming with amazing features like waterproof durability and infrared imaging that will allow you to see what is going on in the dark. A thief or burglar can hide their appearance in the dark, but they can’t hide their heat, and that will allow you to find them. Remote access is a wonderful feature that came into being because of high-speed internet access. Now, with the ability to surf the net at high speeds, people can see their house from a computer, especially while they are on vacation, so that they can have the peace of mind knowing that there is someone watching. If they see someone break in, all they have to do is call the police and watch them pick up the thieves. If you have a wireless laptop, and a hotel with wireless connectivity, you could do all of this while you are sitting by the pool and drinking a martini. That is the beauty of the advances of home video surveillance systems. To complete this article, we are going to look at some statistics relating to your home and how safe it is with a system to prevent burglaries, including a home video surveillance system. Nine out of ten convicted burglars said they would avoid a house with an alarm system or home video surveillance system. These simple stats show just how common burglaries are, and how much home video security systems can change your home from one that is burglarized to one that is not burglarized. If you look at the stat of one out of every five homes is burglarized, then if you have security system, your chances are only one in 15, that is a big difference. Home burglaries happen and you need to be prepared for them by preventing them from happening with a home video surveillance system that has a DVR, security cameras and the ability for remote viewing. All you have to do is sit back and wait for someone to break into your home while on vacation, and then laugh at the look on their face when the cops show up at the door. Your home is your castle, and every castle had something to protect it. You can’t have mounted knights, so why not go with a home video surveillance system? It is the best way to keep yourself, your family and your things safe. To contact CCTV Camera Pros with help with home video surveillance, please call us toll free @ 888-849-2288 or fill out a surveillance system quote request here.